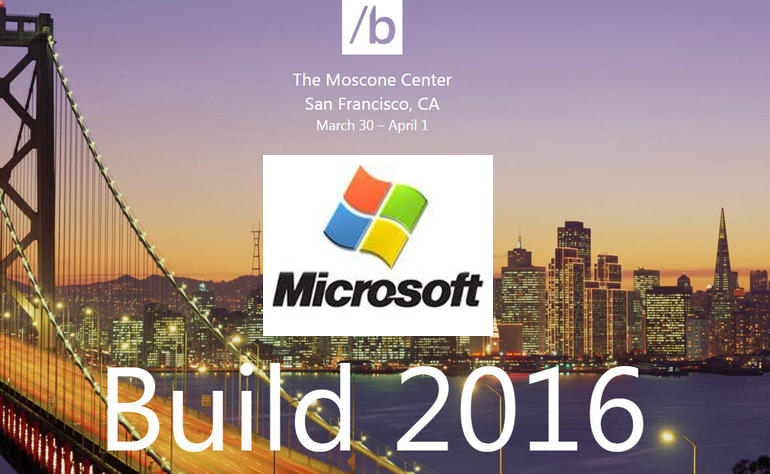 SAN FRANCISCO — March 30, 2016 — Wednesday at Build 2016, Microsoft CEO Satya Nadella and Terry Myerson, executive vice president of Windows and Devices Group, talked to thousands of developers about the work Microsoft Corp. is doing to help them embrace the new era of conversational intelligence and create more personal computing for every customer, industry and business. Wednesday, Microsoft announced new additions to the Cortana Intelligence Suite, both in preview. The first, Microsoft Cognitive Services, is a collection of intelligence APIs that allows systems to see, hear, speak, understand and interpret our needs using natural methods of communication. The second, the Microsoft Bot Framework, can be used by developers — programming in any language — to build intelligent bots that enable customers to chat using natural language on a wide variety of platforms including text/SMS, Office 365, Skype, Slack, the Web and more. Windows 10 was designed to deliver more personal computing, with experiences that are more natural, more trusted and extend across devices. With features such as Cortana and Windows Hello, Windows 10 began to deliver on this vision. Today, Windows 10 is off to the fastest start in Windows history with over 270 million active devices, outpacing Windows 7 by 145 percent. And, customers have spent more time in Windows 10 than ever before — over 75 billion hours since its launch. At Build on Wednesday, Microsoft shared the next chapter in its more personal computing vision — with an all-new Windows 10 Anniversary Update featuring innovations for Windows Ink, Cortana, Windows Hello and gaming. Windows Ink is a new experience, putting the power of Windows in the tip of your pen. With Windows Ink, you can write on your device as you do on paper, create sticky notes, draw on a whiteboard and easily share your analog thoughts in the digital world. New Cortana features enable you to receive proactive guidance from Cortana throughout the day and speak with Cortana, even while your device is locked1, without logging in. New Windows Hello features extend the security of Windows 10 to multiple devices and to Microsoft Edge, so you can log into your devices and websites with enterprise-grade security. These are just a few of the many features that will become available this summer when the Windows 10 Anniversary Update becomes broadly available. For over 30 years, Windows has been an open ecosystem, welcoming the contributions of hardware and software partners and developers around the world. The Universal Windows Platform extends this commitment, combining the openness of the history of Windows with the best of today’s modern application platform. On Wednesday, Microsoft shared all-new capabilities for the Universal Windows Platform. They include full access to Cortana’s proactive intelligence and the Windows 10 Anniversary SDK, which offers all-new APIs and tools to integrate the latest Windows 10 innovations into apps, including Windows Ink and Windows Hello. And with the Xbox Dev Mode, any Xbox One can be a developer kit, enabling anyone to develop for the living room.